This weeks Photo Wednesday was in a store close to Bupyeong Market. This photo is of as the title suggests Hanboks (한복). 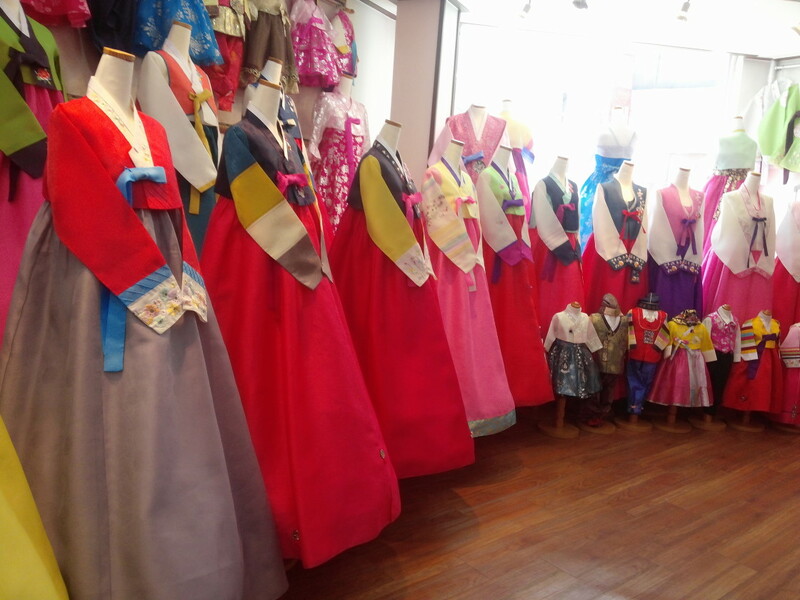 Hanboks are traditional Korean clothes and come in both female and male styles. They’re wore during festivals but also at weddings and certain other important events. As you can see from the picture they come in a range of different colors and styles. Last weeks Photo Wednesday “Korean Pub Hand Ordering Sign” Please Click Here.